For more than 40 years, LinQuest has provided systems engineering excellence to our customers. and implemented by domain experts. We value the opportunity to provide high quality engineering and technical support to the Space Superiority community. Team LinQuest leads enterprise scheduling for the entire SY portfolio. We built the first 20-year portfolio SSA Enterprise Roadmap using Milestones Professional software for 40-plus missions by aligning acquisition with operations. We also produced a Tier III DSC2-D Roadmap used by SY and SMC leadership to brief the AFSPC/CC. This Roadmap product also influenced legacy sensor Shelf Life Extension Program (SLEP) strategy. Our schedules were used to demonstrate how technical refresh could be sped up by seven years resulting in a projected savings of $65M. These products are unique to LinQuest due to role the company plays within the SY Engineering and Integration Division, which provides enterprise engineering support across all SY programs. LinQuest provides a technically competent engineering team to support and provide guidance and solutions to SMC/SY and the Systems Engineering and Integration Division (SYE). Team LinQuest provides directorate-level systems engineering across the Space Superiority Enterprise to include technical planning and engineering solutions. The team identifies issues and provides technically sound solutions and recommendations to meet the customer's needs. The team evaluates applicable tools, techniques, and processes and continually recommends improvements and enhancements. The team also reviews systems and subsystem concepts, designs, specifications, tests, procedures, documentation, and analyses to assess compliance with applicable regulations, requirements, and standards. LinQuest led systems engineering and acquisition teams for the Space-Based Space Surveillance Follow-On (SBSS FO) program, having tremendous impact advancing the program through major milestones. The team's relentless effort resulted in the successful development of the program's Acquisition Strategy, Request for Proposal package, and accompanying Statutory and Regulatory documentation. The team advised the program manager and Integrated Product Team leads through the acquisition processes and provided critical recommendations to program decisions. The program managers nominate LinQuest personnel for quarterly awards. Team LinQuest's accomplishments have been critical to the SBSS FO program's continued success, and are reflected in the approval of a Material Development Decision and successful Acquisition Strategy Panel. 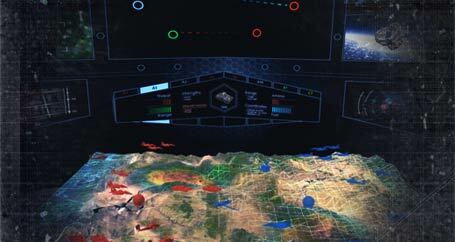 LinQuest provides specialized space and cyber intelligence expertise to the SMC's Space Superiority Systems Directorate's Intelligence Branch (SYEI). LinQuest personnel deliver technical intelligence information and data, expert assessment of foreign military space and cyber capabilities, intelligence handling and policy guidance, and investment recommendations to more than 40 programs, including one of the Advanced Systems Division's (SMC/SYA) flagship program of record. 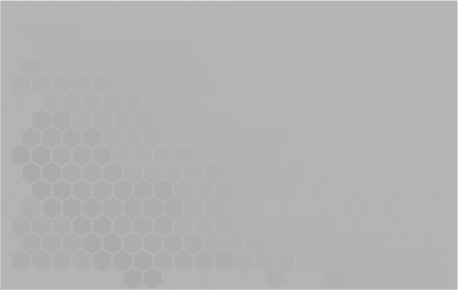 LinQuest's intelligence services have been able to acquire critical targeting products from the supported COCOM due to our strategic, knowledgeable, aggressive, and persistent approach to providing expert intelligence services to the directorate's programs. The close partnership and team dynamic that we have with our WIN-T customer is very rewarding. They depend on us and value our support. It is exciting to help engineer near-term solutions for critical Army systems while also establishing a vision and laying the groundwork for upgrades and future systems. On this contract, we get to do both. LinQuest provides systems engineering and acquisition solutions to Project Manager Warfighter Information Network-Tactical (PM WIN-T), which is building and fielding the systems that provide the Army’s tactical communications network backbone. LinQuest has supported this customer for more than 20 years and has played an important role defining requirements and architecture and specifying interfaces. In addition, LinQuest has provided solutions to integration challenges and capability shortfalls, ensuring successful verification and operation of solutions across the WIN-T system-of-systems. LinQuest developed the Network-Centric Waveform planning Tool (NCWT) software. This software is used by the U.S. Army (SMDC/ARSTRAT) to plan and allocate wideband SATCOM resources for Army NCW networks. This software is a good characterization of LinQuest’s long-standing, successful partnership with PM WIN-T. The result of the vision and foresight by PM WIN-T leadership and timely execution by LinQuest provided a critical capability at low cost. The ARSTRAT resource planners have said that, without NCWT, they would have been unable to support the mission for a novel solution such as NCW across the scale and ops tempo demands of tactical units. Sincere thanks for providing outstanding support on the technical evaluation of the Advanced Extremely High Frequency (AEHF) satellite follow-on proposal. LinQuest’s technical expertise was a major factor in identifying $500M in cost savings. I have worked for LinQuest for more than 10 years and have seen how we excelled in our technical performance to meet and surpass customer expectations. This excellence in performance gave our customer the confidence to come to us when additional support was needed. field installation and support for the system test and evaluation of emerging capabilities. LinQuest staff was selected as the fourth quarter “Contractor of the Quarter” from the AEHF program. LinQuest has developed a modular, multi-usable field programmable gate arrays (FPGA) architecture to facilitate efficient integration of designs—all having a common look and feel. This approach has allowed team members to rapidly design and verify multiple FPGAs across multiple programs. Our team of systems engineers supporting JSEC SATCOM continues to receive the highest of praise from our customer. The JSEC management team has also received recognition on their performance, responsiveness, and innovations. I am personally proud to be surrounded by our team of experts that not only keeps their focus on their tasks, but also understand their contributions will enhance the Army Warfighting capabilities. LinQuest provides SATCOM systems engineering solutions to the U.S. Army CERDEC Space and Terrestrial Communication Directorate (S&TCD). We apply our domain expertise in SATCOM systems engineering and understanding the Army’s Warfighter Information Network coupled with our proficiency in applying M&S tools to support our analysis and recommendations. Specifically, we have successfully applied this recipe in the evaluation of several different jammer types: noisy, full, and partial band; pulsed; blink; continuous wave; repeaters/followers; and tone for modeling SATCOM diversity architectures. We have also applied this to the development of CONOPS and analysis for usage of a low earth orbit (LEO) constellation of very small satellites (nanosats) within WIN-T, focusing on the evaluation of key performance areas such as orbital determination, Doppler, acquisition, and tracking. LinQuest has had many innovations by applying our MBSE approach to develop ICDs, requirements in support of the Power Control Management Subsystem, and a unique composite controller model/design that can rapidly compensate for rain fades in a close loop satellite end-to-end communications link. 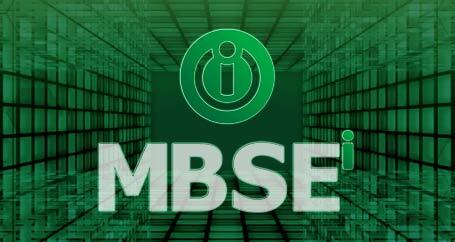 MBSEi is a core capability for program planning, traceability, dependency assessment, architecture, analysis, and impact assessments. Our coordinated, model-centric approach uses common data and shared views to improve technical baseline document quality, change control, stakeholder integration, collaboration, and execution. LinQuest's unique model-based systems engineering (MBSE) methodology provides solutions across the entire program lifecycle and goes beyond "traditional" MBSE capabilities by incorporating key tools in a seamless MBSE framework. The key-and the LinQuest difference-is the Power of i: integration with standard and custom models, simulations, tools, and databases; innovation through our use of advanced 3D visualization; and implementation by our domain and architecture experts. LinQuest executed a rapid development solution to field an end-to-end Commercial Satellite Communications System. You have earned our trust. To execute these tasks, LinQuest automated and consolidated Requirements Traceability Matrix (RTM), Verification Cross-Reference Matrix (VCRM), and Requirements Verification Plans (RVP). Software was also developed to aid the engineers in tracking requirements and their flow down to lower-level subsystems and assist in drafting test plans. LinQuest’s core strength is our experienced engineers applying proven SE&I processes. During this period, we brought in our engineering interns to work on lower-level products to support the team. This ensures the next generation of engineers develop and gain the proper mentoring by senior-level staff. This is one reason why LinQuest is a great place to work. It is not just another job; LinQuest strives to make engineering fun and allows our engineers/specialists to take on challenges and grow as individuals as well as learn to deliver performance excellence as a team. Our customers expect a product delivered on time and at top performance. LinQuest has the ability to bring the best products available on the market to deliver end-to-end solutions in less time with less money. On our SATCOM Payload Demonstration Program, LinQuest led a team of large subcontractors that showcased our engineering talent and ability to manage a very tight schedule and remain within cost. 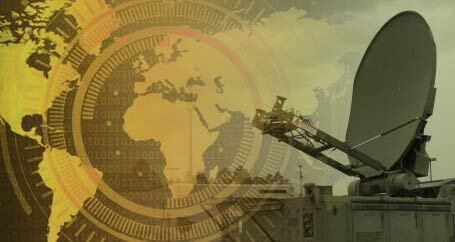 LinQuest executed a rapid development solution to field an end-to-end Commercial Satellite Communications System. There were many sceptics saying this program was impossible and that LinQuest could not design, build, and integrate a new SATCOM payload and deliver it in 13 months. We proved we could produce a high-quality product, on schedule, while performing within the allocated cost constraints. In relation to the satellite owner, Team LinQuest developed the payload that was hosted on a Commercial Satellite Bus with the following constraints: “Do not harm the spacecraft, and deliver in 13 months or miss the ride.” During this period, LinQuest had to work out several technical issues and anomalies to maintain performance and remain on schedule. We met every constraint on the program. Today, many traditional government satellite programs take six to eight years to field from initial design to operational testing. Our systems engineering processes have been tailored for efficiency and can be applied by domain experts in all phases of design-build. We fielded this commercial service in 20 months by actively managing our subcontracts and costs, monitoring the IMS critical path, and aggressively mitigating risks. LinQuest recognized an opportunity to save time and money by building a solution around existing commercial-off-the-shelf (COTS) components to provide a proof of concept demonstration. Our innovative approach required we flow-up the COTS products specifications to drive the system-level requirements. This deviated from the traditional V-model systems engineering approach and required LinQuest to tailor its INCOSE-based SE&I processes. LinQuest accomplished this in a manner that ensured all aspects of the system integration and test occurred on time with a small group of engineers, all while inviting the customer to witness risk reduction testing along the way. LinQuest was an integral member of the SMC Joint Space Operations Center (JSpOC) Experimentation, Testing, and Training Initiative (JETTI) Team that planned a series of operational experiments to improve Tactics, Techniques, and Procedures (TTP) for Space Situational Awareness (SSA) and Battle Management Command and Control (BMC2) operations. These test events have also highlighted improvements needed to the Space Surveillance Network (SSN), capabilities for future space surveillance sensors, and tools that will allow JSpOC/JICSpOC operators to addresses evolving threat scenarios. In addition, the JETTI team informs SMC, 14AF, and other stakeholders on recommended SSN and BMC2 improvements, impacting acquisition decisions for Joint Mission System (JMS) and related systems. The win of this contract is validation of our team's capabilities and a testament of the Government's confidence in our abilities to perform the broad spectrum of tasks that are necessary to assist SMC/AD in shaping the future of Space and in being the premier center for advanced systems and developmental planning..
As a member of the team, I have directly influenced important decisions and my work has been seen at the highest levels of the SMC leadership team. I have also enjoyed seeing my SETA colleagues play major roles in launch activities, anomaly resolution, and highly technical analysis of software issues on new satellites in production. Our LinQuest team is at the heart of virtually every aspect of the Remote Sensing mission. LinQuest provides technical and acquisition solutions to the SMC Remote Sensing Systems (SMC/RS) Directorate in the areas of space flight and ground software support. Our efforts are primarily directed towards the Space-Based Infrared System (SBIRS) geosynchronous earth orbit (GEO) and highly elliptical orbit (HEO) space vehicles and the ground system. Key contributions include resolving top program software risks, analyzing software qualification events, and ensuring software was thoroughly developed, tested, and verified prior to operational acceptance. LinQuest supports SMC/RS by continuously monitoring the monthly fuel estimates of the Defense Support Program (DSP) on-orbit satellites to assist the SPO in planning on-orbit operations and forecasting satellites longevity. To facilitate this task, LinQuest developed a patented fuel estimation method, known as MLE-PVT (maximum-likelihood estimator, pressure, volume, and temperature). The methodology can be applied to other DoD and commercial satellites. 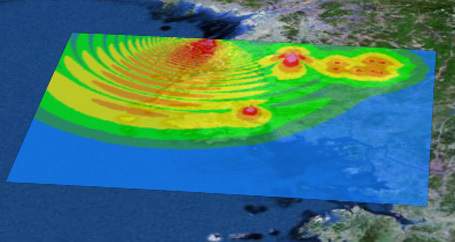 The GPS Interference and Navigation Tool (GIANT) is a mission-level simulation that evaluates the impact of Position, Navigation, and Timing (PNT) system performance on operational effectiveness in a benign or electronic combat environment.